Picture books are perhaps the most important books in your childs' life. These bright, colourful stories expose a child to new ideas, people and places, while introducing them to art and creativity. And with summer truly upon us now, whether staying at home or traveling, make sure you have a load of picture books at hand to inspire creative play, add thrills and adventure and for those quiet times when you all just need to relax. (as you can see, LB has a difficult time deciding what to read next. Fortunately, I've made sure he's spoilt for choice.) It's important to have old favourites, as well something exciting and new. New out and filled with adventure! Julia Donaldson always delights with each and every new book. 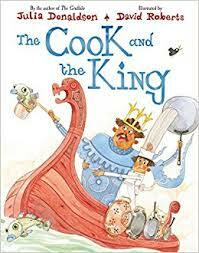 This summer, The Cook and the King (ISBN: 9781509813773, Macmillan Children's Books) has all the hallmarks of another Donaldson classic. Illustrated by David Roberts, this is the story of a very demanding king and his new, very nervous chef, Wobbly Bob as they head off on an adventure to make the perfect fish & chips. Filled with laughs, colour and quirky fun, you're going to love it; and so will the kids! available in Irish language and Welsh.) 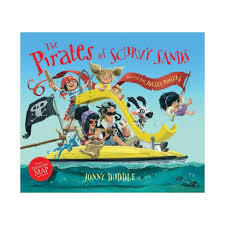 And please, please don't forget The Pirates of Scurvy Sands by Jonny Duddle (ISBN: 9781783704095, Templar Publishing.) In this addition to the Jolley-Rogers series, our hero, Matilda is off on holiday with her pirate friends to Scurvy Sands, an island filled with pirates in search of buried treasure. With an actual treasure map included! Whether you're having adventures near or far, children love to explore the natural world. 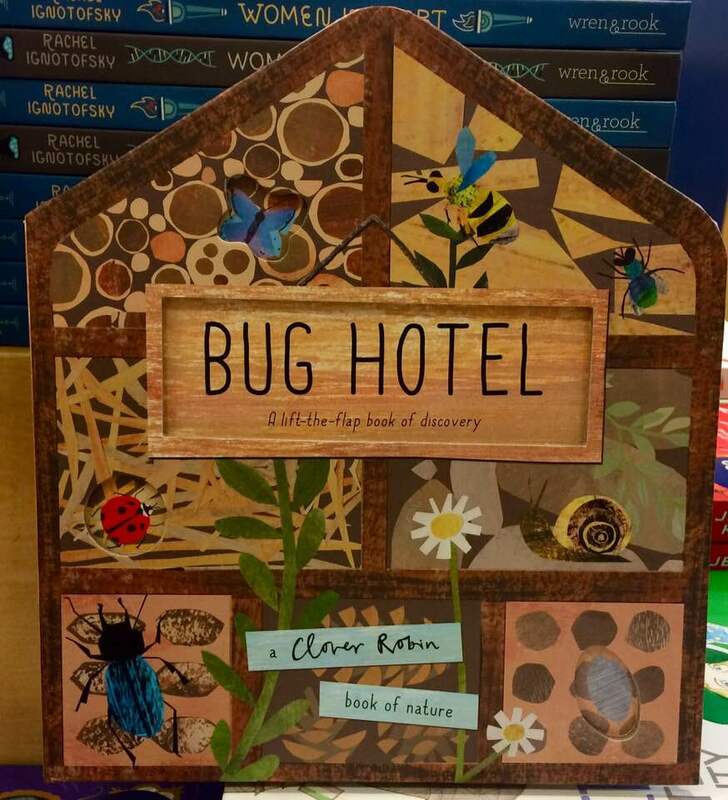 Two wonderful offerings from Libby Walden (author) and Clover Robin (illustrator) are Bug Hotel (ISBN: 9781848576575, Caterpillar Books) and Bird House (9781848576605, Caterpillar Books). 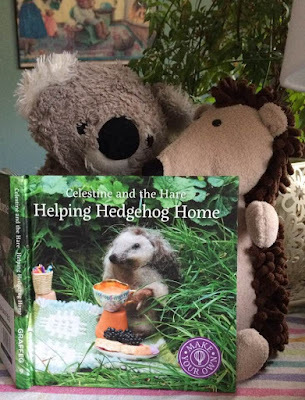 Both are filled with facts and encourage a view towards sustainability and appreciation of the natural world from a young age. And they are simply gorgeous books! An absolutely perfect (and beautiful) picture book for this time of year is Wild by Emily Hughes (ISBN: 9781909263628, Flying Eye Books.) This is the story of a young foundling girl with a different point of view in a world that cannot make her change... and why should she? She's perfect the way she is! Also by Emily Hughes; The Little Gardener (ISBN: 9781911171249, Flying Eye Books); a story that beautifully explores the small world of the garden, friendship and kindness in a wonderful 'at-home' adventure. Socks for Mr Wolf by Tatyana Feeney (O'Brien Press, ISBN: 9781847179067) takes us off on a wonderful and woolly adventure around Ireland. A witty, joyous celebration of fixing things, ordinary pleasures and going where your feet (or socks, in this case) take you. Lucie Goosie by Danny Baker (ISBN 9781444937404, Hodder Childrens Books) is fairytale-style story that sees Lucie Goosie proving that there is nothing to be afraid of...most of the time. 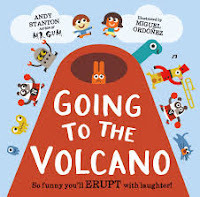 With bright and quirky illustrations by Pippa Curnick, expect surprises and loads of laughs. For a quiet and wondrous bedtime story, try Sail Away Dragon (Girl & Dragon 3) by Barbara Joose and Randy Cecil (ISBN: 9781406376937, Walker Books.) Dragon and Girl share the very same dream; to sail to the furthest far-away, so they set out across the seas to reach their destination. Meeting so many new creatures along the way, while the adventure is marvelous and their dream is realised, perhaps they are missing something. Gentle and simply wonderful! I have saved an absolute and firm favourite of mine for last. 'Wordless' picture are filled with a wonder and fascination that we, sometimes forget about...until we meet it head on. Flotsam by David Weisner (ISBN: 9781849394499, Andersen Press) is such a book. The illustrations take us to the seaside with a young boy. There, in the flotsam, he encounters a very old camera. When he takes the film to be developed, the picture he finds whisks him away on an adventure he never dreamed possible; and he doesn't even have to leave the beach. 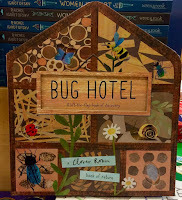 The detail and imagination in this book are exquisite. Not just for children, this is one I'd recommending having and pulling off the shelf regularly to share. Utterly amazing! Enjoy your summer holidays...and don't forget to check out the bookshops wherever you are. Books make the best mementos. You never know what you'll find. Summer is here and we do encourage summer reading with numerous incentives and programmes. It is important for children (of all ages) to 'keep their reading up' outside of school time. This is the time when kids develop their own taste in books and can be free to read books of their own choosing. And this is the single most important factor in young people developing a lifelong reading habit. 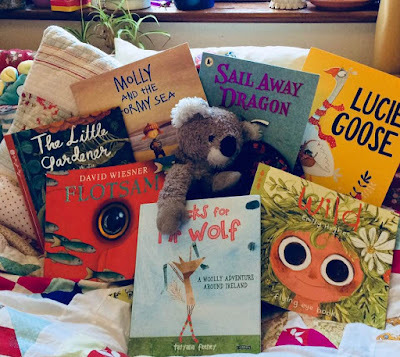 But how do we, as the 'gatekeepers' of kids reading, encourage them properly without running the risk of thrusting pressure and our own ideas on them? Do that and you'll run the risk of pushing them away from reading, and there are already so many distractions for the young reader to contend with that can tempt them elsewhere. In 1992, French writer Daniel Pennac originally published this little gem of a book; The Rights of the Reader. I highly recommend it. It was conceived out of his experiences teaching students in "challenging" schools, where perhaps reading was not high on the agenda. Carefully considering the factors that he deemed responsible for discouraging reading in young people, he came up with an intrinsic, powerful thought. 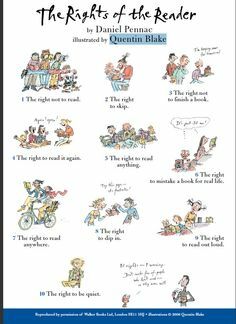 Readers (of any age) have rights. They have the right to read anything they choose, any time, anywhere, however they wish. And, quiet interestingly, they have the right NOT to read. Have you ever started a book and become disenchanted with it? Turns out you don't have to finish it...why annoy yourself with something you don't enjoy when you could be reading something that carries you away to a place of freedom and entertainment? When encouraging reading in children and young adults, the worst thing that can happen to be forced to finish a book you don't like. 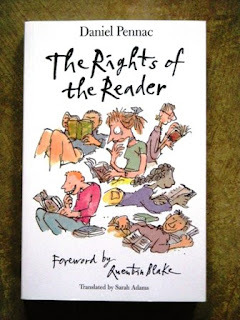 And (this is my favourite), the reader has the right to read a book over and over again. So many times I have been faced with parents concerned that their child keeps reading the same book. My question is, "do they enjoy it?" That's when they look at me as if I have six heads and say, "well, they must...they keep reading it." The most central thing to encouraging reading is enjoyment. Let them read the same thing over and over. Let them ask you to read the same book over and over to them. Something very special is happening there on levels you may not even consider. It's not about 'moving forward'. It's not about 'developing skills'. Those things will happen. It's about acquiring an emotional attachment, a belief that they have the right to choose and that those choices will be honoured and valued; and a sense of autonomy and individuation. All you, as a parent, guardian or teacher has to do is provide them with books...any books they want. And one more thing. children need to see you reading. They need to know that you value it and will take the time out of your increasingly busy schedule to stop everything and read...for fun. So, this summer and forever after, please let the children read.